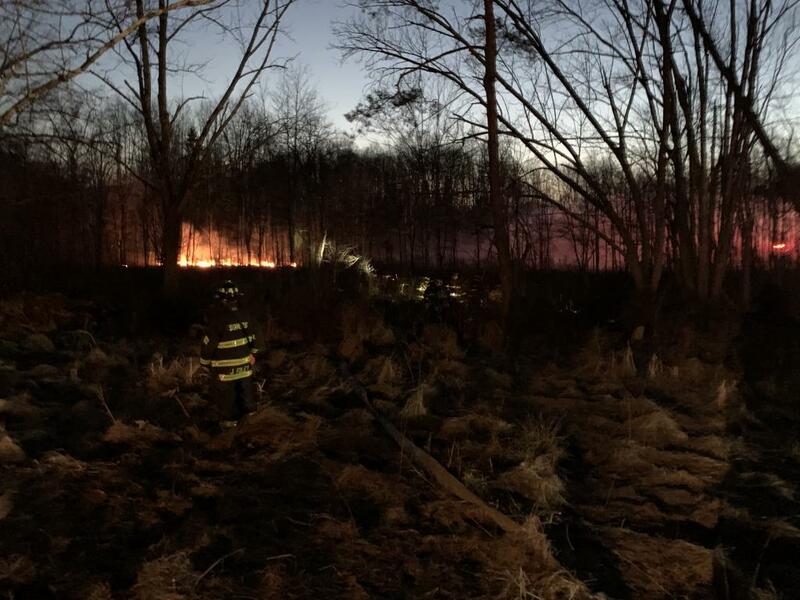 Mutual Aid Brush Fire In Goldens Bridge - Somers Volunteer Fire Department, INC.
On Wednesday April 3rd, after clearing a small structure fire in our district SVFD units were requested to assist the Goldens Bridge Fire Department with a large brush fire. 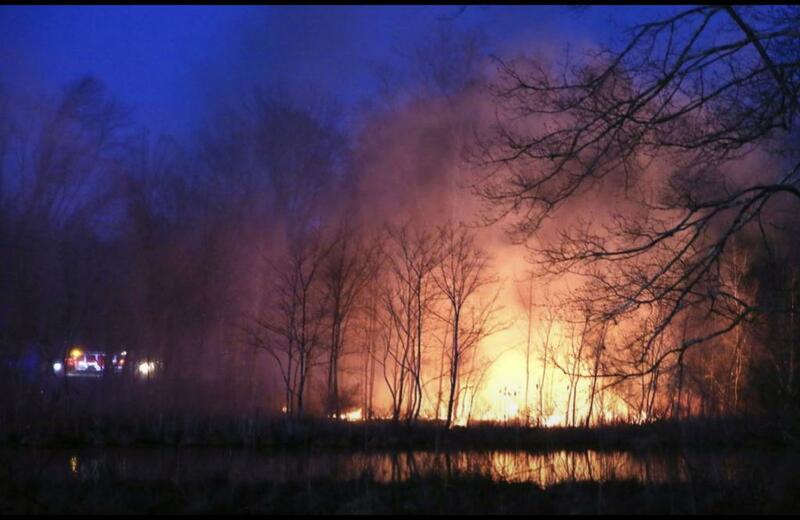 GBFD units arrived on scene and found a large area of brush burning endangering nearby houses. 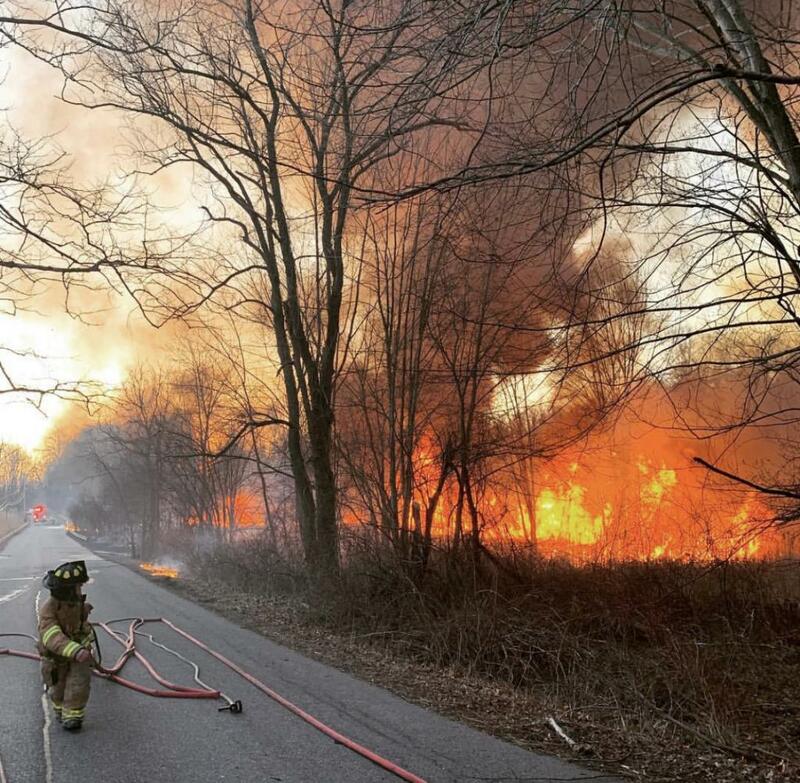 The SVFD had multiple apparatus on the road after clearing the 10-75 on Route 202 so units were directed by 60-Control to start responding to Goldens Bridge, Prior to SVFD arrival the fire had jumped across Todd Road and was spreading rapidly uphill into a nature preserve. Car 2442, Mini Attack 14 and Engine 188 started responding to the area of 215 Todd Road to assist with structure protection. Upon arrival MA-14 took up a position behind a residence that was closest to the main fire and was utilized to supply water and hose lines to crews battling the fire in the swamp. 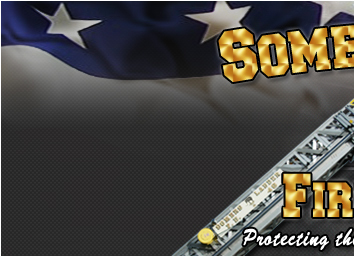 Engine 188 was used to supply water along with multiple tankers from other departments. SVFD units operated on scene for several hours until the fire was extinguished. During this incident the SVFD had crews for Engine 183, Tanker 16 and other apparatus standing by in quarters. This fire occurred during a red flag warning. A red flag warning is issued by the National Weather Service when conditions for rapid fire spread are possible.